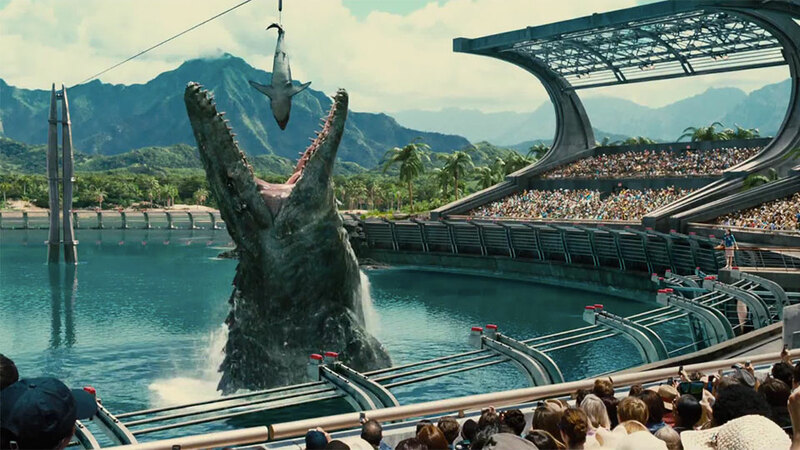 Michael’s Review: ‘Jurassic World’- The Park is Open! It’s been 22 years since the events on Isla Nublar. A lots happened since then in the world of cinema, but there is a special place in our hearts for the dinosaurs of Jurassic Park and that is why this weekends opening of the newest installment in the dino franchise, Jurassic World, is so highly anticipated. Can Colin Trevorrow’s vision live up to the hype? Let’s simply forget the events of the dull and forgetful sequels and revel in the fact that the park is open! Millions of people flock to this Dino-Disney theme park every year on the island where it all started. The park John Hammond envisioned has to come fruition thanks to Simon Masrani (Irrfan Khan), CEO of the Masrani Corporation and the owner of Jurassic World, who believed in Hammond’s vision enough to make it a reality. Masrani wants a park where the animals are just as happy as those paying admission, Claire Dearing (Bryce Dallas Howard), the park’s operations manager, believes in profits and making bigger and better attractions, which leads to the creation of a new genetically modified dinosaur, the Indominus rex, which is said to be the biggest attraction the park has ever seen. 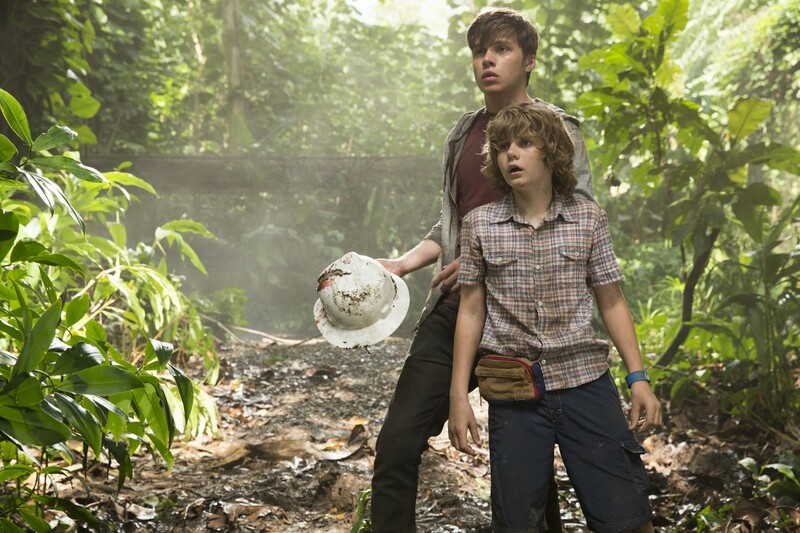 Brothers Zach (Nick Robinson) and Gray Mitchell (Ty Simpkins) have arrived at the park to visit their aunt Claire. Gray, an avid dinosaur enthusiast, is excited to finally see the park, but brother Zach is only along for the ride. The two trek off into the park with Claire’s assistant to explore while Aunt Claire checks on her newest attraction. After some concerns about the newest dinosaurs development, Masrani requests the assistance of Owen Grady (Chris Pratt), a Velociraptor expert and trainer known to have a positive influence over the creatures. Vic Hoskins (Vincent D’Onofrio), the head of InGen security, is on hand to witness Owen’s work and believes this trainiing should be used to turn the Velociraptors into weapons to be sold to the government, an idea Owen strongly opposes. A mishap allows the Indominus to escape captivity and sets off a park wide Dino hunt. With Gray and Zach lost in the park, Claire enlists the help of Owen to rescue the boys and take down the Indominus before the park is destroyed and lives are lost. With the help of an unimaginable allies, will Owen reach the boys and stop the blood thirsty killer before it’s too late? Director Colin Trevorrow (Safety Not Guaranteed) does a phenomenal job of creating his vision of the park within the framework of the original world created by Steven Spielberg. The film, a direct sequel to the original film, is not only a visually stunning film, but the strong script from Rick Jaffra and Amanda Silver (Dawn of the Planet of the Apes) leaves a lot of the playful elements that worked so well from the original while allowing for the dramatic performances of the actors to work without an overabundance of corny lines and cringe worthy performances. Chris Pratt continues to impress as his career shift to leading man continues. 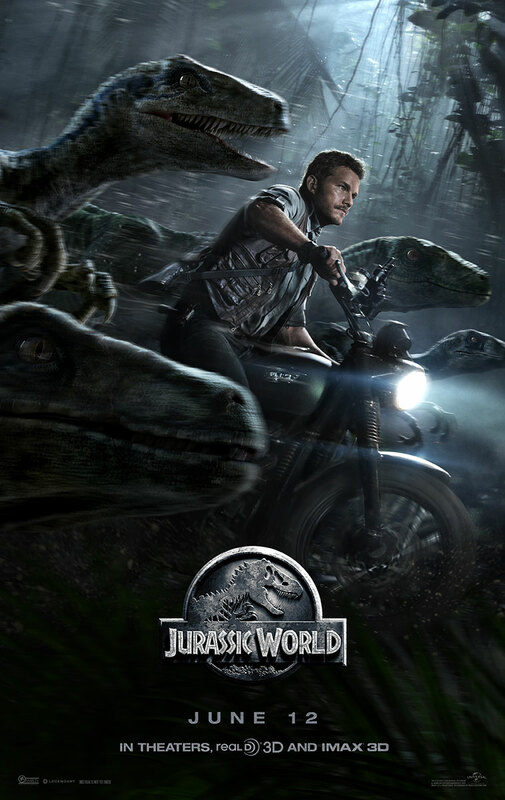 Pratt is becoming more and more comfortable in action roles and his performance in Jurassic World is sometimes a bit stiff but overall quite enjoyable. Bryce Dallas Howard is wonderful. A character which can fall into so many cliche’s, Howard avoids many of them and provides a performance worthy of being included alongside Laura Dern’s Dr. Ellie Sattler from the first film. Neither Ty Simpkins or Nick Robinson were overly impressive, but neither were annoying either which is a plus considering their roles. Overall, Jurassic World is one hell of a fun ride. A film that doesn’t quite reach the exceptional level of the first film, but far exceeds the sequels. Bryce Dallas Howard’s Claire states, “no one’s impressed by a dinosaur anymore”, well, this movie does impress and I can’t wait to head back to the park one more time. This entry was posted in Michael, Reviews, Top Rated and tagged BD Wong, Bryce Dallas Howard, Chris Pratt, Colin Trevorrow, Irrfan Khan, Jake Johnson, Judy Greer, Lauren Lapkus, Nick Robinson, Omar Sy, Ty Simpkins, Vincent D'Onofrio by Michael Petrelli. Bookmark the permalink. Brackets	Battle of The Actors Round 1 Matchups Part 5!